I’m going to kick off this series of posts – where I share a little information about incredible poets and show off a few of my favourite poems of theirs – with my most favourite poet – Maya Angelou. I was introduced to her in (1992) when a boyfriend’s father bought me one of her collections of poetry, for Christmas. It is still is one of the most treasured gifts I’ve even been given. Enjoy and please leave me a comment to tell me your favourite poets, or what you think of the incredible Maya. in this whole world was you. heard love and dared the cost. and found my senses lost. What did you think of Maya? Who’s your favourite poet? Want to know more about this amazing woman? Mine, too, Shah! 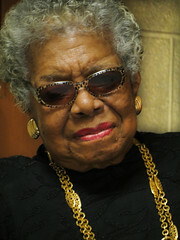 What an outstanding woman,human being, image maker, chronicler of life. 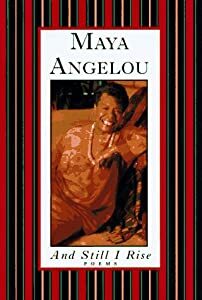 I am proud to say that I got to meet her in person years ago in a little bookstore in Berkeley, CA; saw her speak at a teachers’ conference; and have been to her university to “walk where Maya walked”.